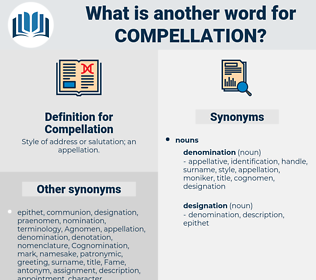 What is another word for Compellation? 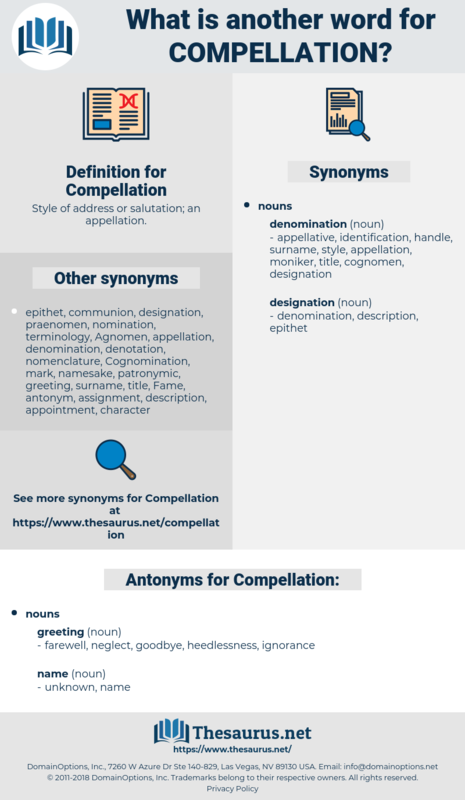 Style of address or salutation; an appellation. goodbye, neglect, farewell, ignorance, heedlessness.